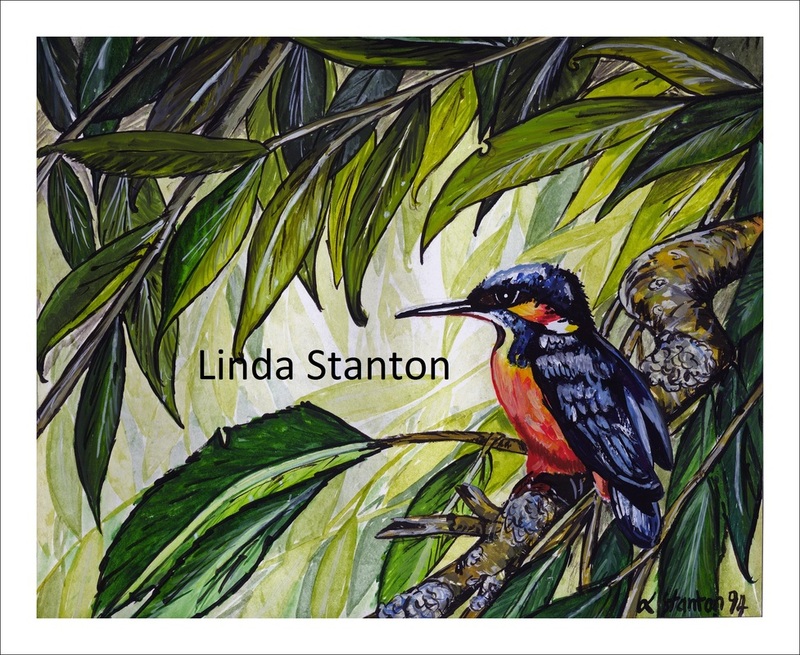 The Kingfisher is purely and simply one of my least complicated paintings. It is actually one of my first attempts at painting birds. Love to spend my time in the summer watching the birds, bee's and butterflies flit around. But, the Kingfisher is one of those birds should you blink you miss the dart of vibrant blue into the water. I've been lucky enough to see two, but never quick enough to take a photo.